Product #1838 | SKU 556B | 0.0 (no ratings yet) Thanks for your rating! 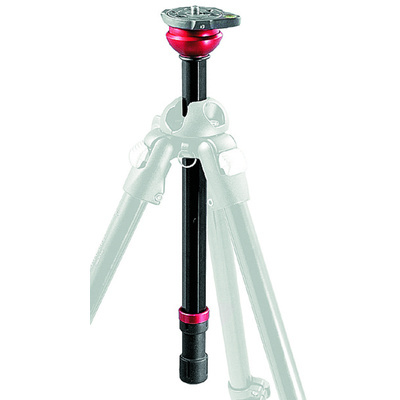 The innovative Manfrotto 556B Levelling Center Column is a leveling system for the 190 Pro series of tripods. It allows you to quickly level your photo or video head, independently from the tripod. A built-in 50mm half ball with 15° of levelling is mounted on top of the tripod center column so as to make the angle of the plate independent of the rest of the tripod. Locking and unlocking of the half ball is via a turning grip on the bottom of the center column. The half ball-mounted plate has a male 3/8" screw for attachment to a photo or video head, and a bubble spirit level for added ease of use.